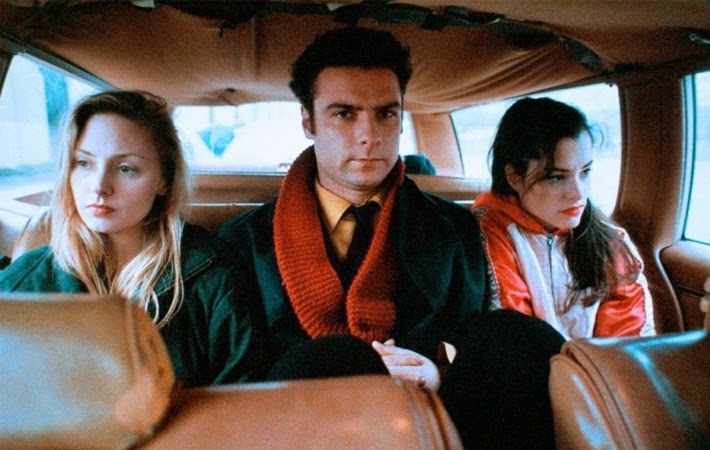 Before ADVENTURELAND, SUPERBAD and PAUL, Greg Mottola, under the guidance of producer Steven Soderbergh, made his directorial debut with THE DAYTRIPPERS. Smaller in scale and more downbeat than the majority of his later work, this proto-mumblecore ‘slice of life’ is the sort of film you might stumble across whilst flicking through the channels late at night. But with its blend of memorable characters and wry, bittersweet humour, THE DAYTRIPPERS might just be Mottola’s finest work. Heading up an impressive ensemble cast, Hope Davis plays Eliza Malone, a school teacher for whom life seems sweet, until she discovers a concealed love letter addressed to her husband (played by Stanley Tucci). After seeking the advice of her family, Eliza is accompanied by her parents (Anne Meara and Pat McNamara), her sister Jo (Parker Posey) and Jo’s boyfriend Carl (Liev Schreiber), as she heads to New York City to confront her spouse at work. But this day out soon gives the Malone’s more than they bargained for and as low-lying, long-standing tensions bubble to the surface, the family find themselves pushed to breaking point. Focusing on the inherent humour in the minutiae of human interaction and the dynamics of domestic relationships, THE DAYTRIPPERS is a joyous, funny, family portrait, getting great mileage from exasperated, knowing looks and witty asides. But beyond the laughs, there’s a pathos here that belies its seemingly low-key tone. Something of a dysfunctional unit, the Malone’s are in the middle of a quiet, unspoken crisis, but this isn’t some overblown melodrama about a family torn apart by secrets and lies. Their problems are borne from everyday human failings, flawed characters, misplaced values and the general bug-bears accumulated over many years. Eliza’s overbearing mother is so desperate to take control and make everything right, she fails to see that the harder she tries, the further she pushes her daughters away and the more she neglects her increasingly impassive husband. While Carl, hilariously pretentious and ‘smarter-than-thou’, is so keen to make a good impression on his potential in-laws that he’s oblivious to how much his ‘Mr Nice Guy’ routine irritates his girlfriend. Now obviously such quibbles are hardly ‘big issues’, but THE DAYTRIPPERS isn’t about big issues; it’s about the commonplace problems faced by ordinary people as they muddle through life. For most viewers, such themes are surely far more relatable than the usual extremes presented in many family dramas. Admittedly, it is little rough around the edges. But considering THE DAYTRIPPERS was filmed over two weeks for $30,000, minor technical issues can surely be forgiven and for me, these little idiosyncrasies are actually part of its charm. It’s small and cosy, like you’re snuggled up with the Malones in the back of their station wagon. And the fact that their trip to NYC fails to take them anywhere spectacular doesn’t really matter. Acting as a sort of ‘day in the life’, THE DAYTRIPPERS doesn’t try to offer any easy solutions or firm conclusions. But as the film draws to a close you’re left in no doubt that, while they haven’t exactly covered much ground, they’ve most definitely been on a journey—albeit an emotional one. And you as the viewer have become part of the family. You know who they are, understand their pain and laugh at their foibles; because you recognise them as your own. Such effortless intimacy makes THE DAYTRIPPERS a genuinely enriching experience and if you happen to be a fan of Alexander Payne’s smart tales of middle class America, then you should definitely give it a try.